Attractive blue and white certificate. 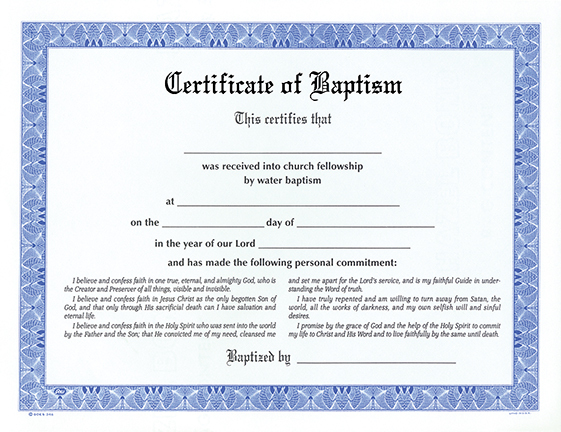 Space for name, date, location, and official performing the baptism. A statement of commitment is printed on the certificate.